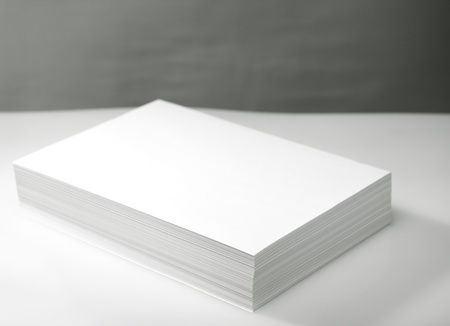 At Logbookair for our printing service we use a special A4 short-grain direction 100g/m² paper. This paper is optimum for printing, writing and most importantly for hard-bound logbooks. If you wish to change the dimensions of your logbook we have the equipment to professionally cut the paper at the size of your choice and provide you with the option of selecting both color or black & white printing. Usually the logbook pages are in black & white and thus color printing will unnecessarily increase printing cost. It’s a good technique to print with color only the pages with your flight summaries and statistics that will be included in the beginning or at the end of your logbook. With this technique you can further enhance the professional look of your logbook without incurring extra costs for color printing all your PDF file. 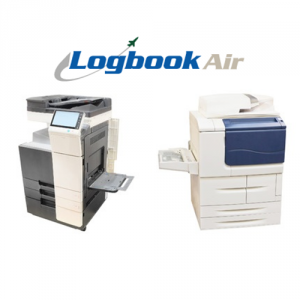 When selecting our logbook products you have the option for color printing the first pages of your logbook that might include a logo or statistics from your flying records and the rest of the pages in black and white. Another important factor for printing is to use the appropriate paper type. Printing paper in the market has various sizes, brightness, coating, grain direction and weights. It is important to select the right paper that will be appropriate for logbook printing. It should give to your logbook a professional look and feel, allow for double side printing and facilitate writing either for pilot signatures or for getting stamps and signatures from your airline usually on the last 3 logbook pages. Book snaps closed when you try to open it.